This should only affect some Windows 7 and Windows 8 users. If you do not see the failed CDC Serial device shown below, then you do not need to do anything. On some versions of Windows, the serial-over-USB port of JeVois will be detected and configured automatically. On other versions, however, it may be necessary to install an inf file. 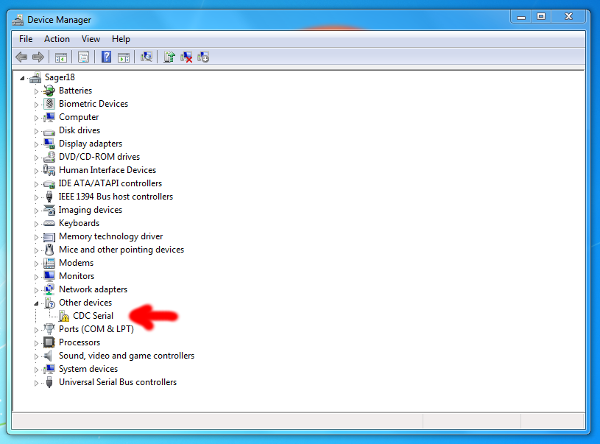 First, have a look in your Device Manager and check whether you have an errored CDC Serial device under Other devices. If not, the JeVois serial-over-USB may have been already detected and configured and you are ready to proceed to the next section. In the device manager, right click on the CDC serial which has the error, and select Properties. Click Update driver then Browse my computer for driver software. Select the folder where you saved the jevois-serial.inf file (likely, your Downloads folder, make sure you do not have any other .inf files in there). When Windows complains about this driver not being trusted, select to install anyway. 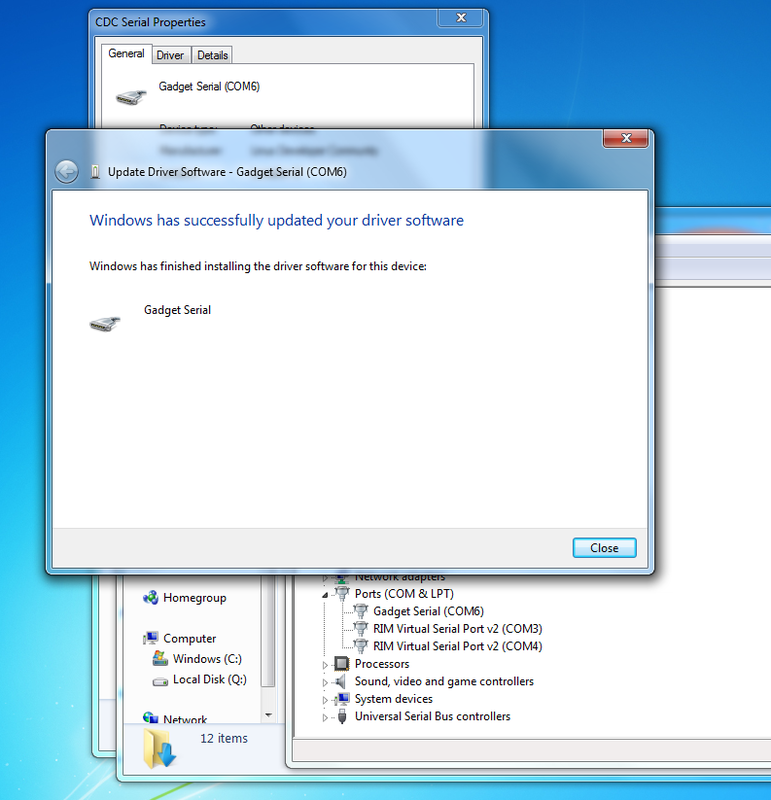 Your device manager should update from showing a CDC serial device to JeVois-A33 Serial-over-USB or Gadget Serial, and Windows should tell you that the driver was installed successfully. In the example below, the JeVois serial-over-USB port is configured as COM6 - this is the port you should use with a serial terminal program. We have had good success connecting using Tera Term and Termite. Open the COM port that was created using 115200 8N1. Termite is quite nice for use with JeVois as it allows you to type and edit a single command line (at the bottom of the screen), and it will send the final edited line to JeVois when you press return. 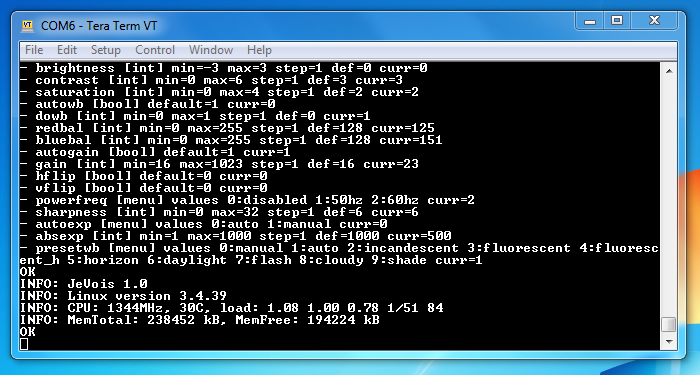 Hence it is more typo-friendly than some other serial terminal programs.